Of particular note to me personally, was the growing significance of Vancouver as a site for a exceedingly advanced startup like D-Wave. In my previous post on this subject, I questioned whether a company in such a rarified area could attract the necessary personnel here. Twenty years ago, when Mobile Data International started, I was one of four Americans to cast our fates to the wind and move to Canada to join MDI. At that time, we were seen as completely out of our minds. Vancouver had no attraction or other high tech industry companies worthy of note. Today, Vancouver is seen as an World Class City, and one of the most livable. This may be one of the most important issues in favour of a growing high tech industry in Vancouver. By way of example, it was also announced in parallel today that two key people from Silicon Graphics, the precursor in some respects to D-Wave, Bo Ewald, former SGI CEO, and Steve Cakebread, former SGI financial officer, have joined D-Wave. Apparently, Ewald will lead D-Wave’s U.S. subsidiary company, and Cakebread has relocated to Vancouver. If you have ever seen a bottle of Cakebread Cellars Chardonnay in a BC Liquor store, it is the same Steve Cakebread that is responsible. More importantly, Vancouver may now be able to attract the kind of talent needed for companies like D-Wave. Google and NASA are forming a laboratory to study artificial intelligence by means of computers that use the unusual properties of quantum physics. Their quantum computer, which performs complex calculations thousands of times faster than existing supercomputers, is expected to be in active use in the third quarter of this year. Google and NASA bought in cooperation with the Universities Space Research Association, a nonprofit research corporation that works with NASA and others to advance space science and technology. Outside researchers will be invited to the lab as well. 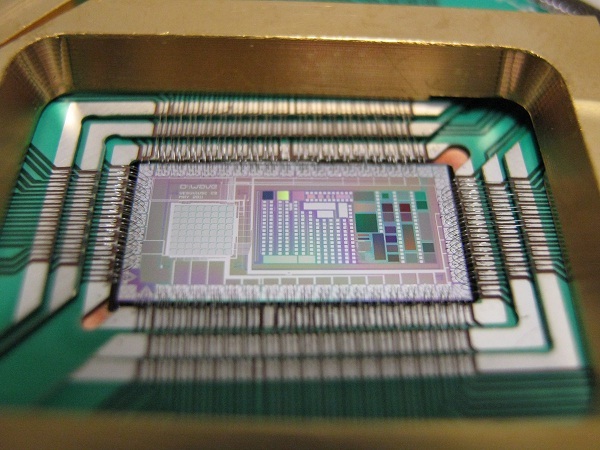 The machine Google and NASA will use makes use of the interactions of 512 quantum bits, or qubits, to determine optimization. They plan to upgrade the machine to 2,048 qubits when this becomes available, probably within the next year or two. That machine could be exponentially more powerful.